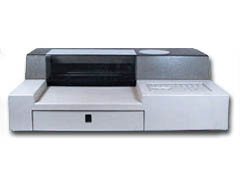 Agilent HP 7440A ColorPro eight pen plotter with option 02 GPIB interface. Includes fresh pens, interface cable, and carry case. 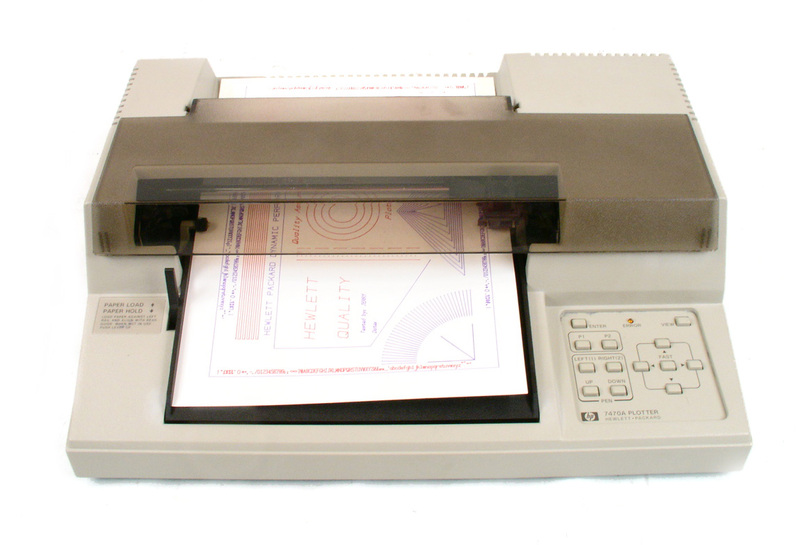 Agilent HP 7470A Two pen graphics plotter with RS-232 interface. 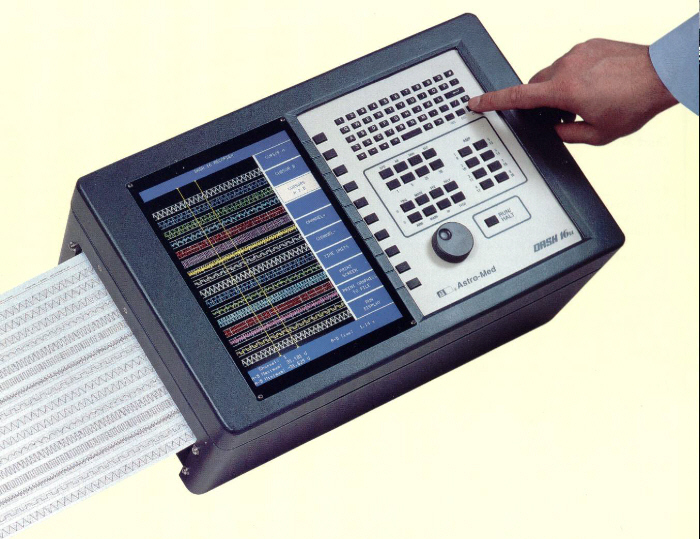 Agilent / HP 7475A Graphics Plotter with GPIB interface option. 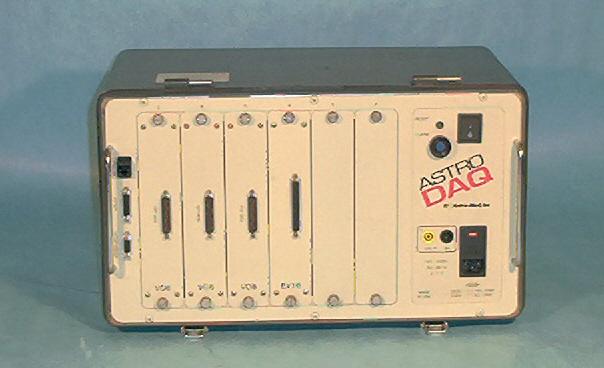 Astro-Med Astro-DAQ - Portable 30 channel, 6-slot data acquisition system. 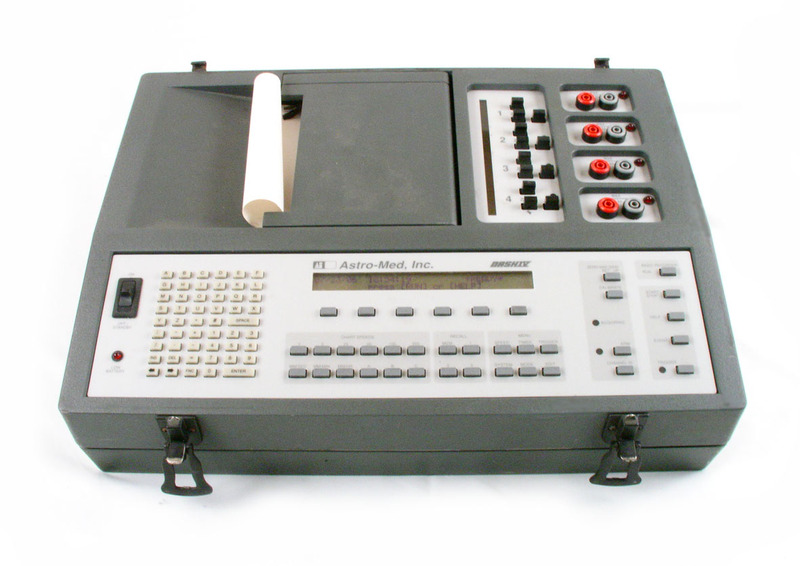 Includes 4 GB hard disk upgrade plus three V08 (8 channel voltage input modules), and one EV16 (16 channel binary event input module). 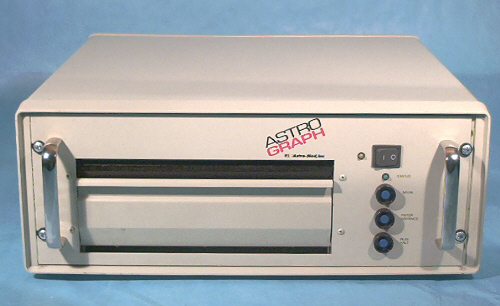 Astro-Med Astro-Graph Printer chart recorder for Astro-DAQ. 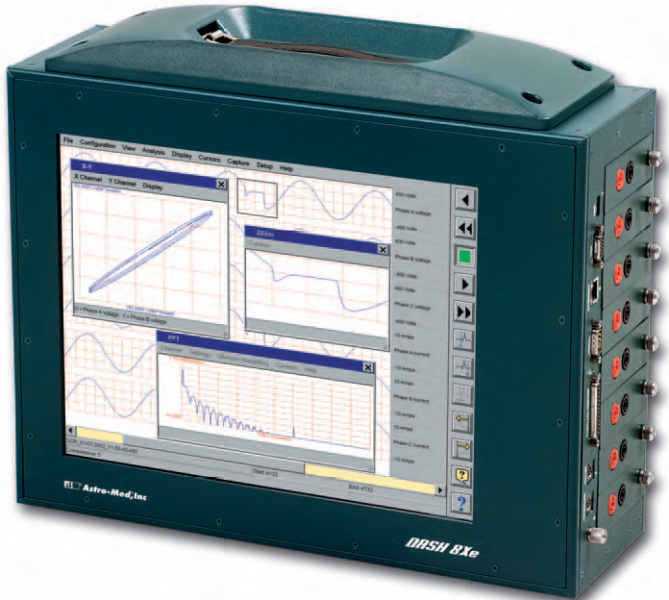 Astromed DASH8XE 8-channel data recorder with 8 IHV1 channels. Other configurations available on request. 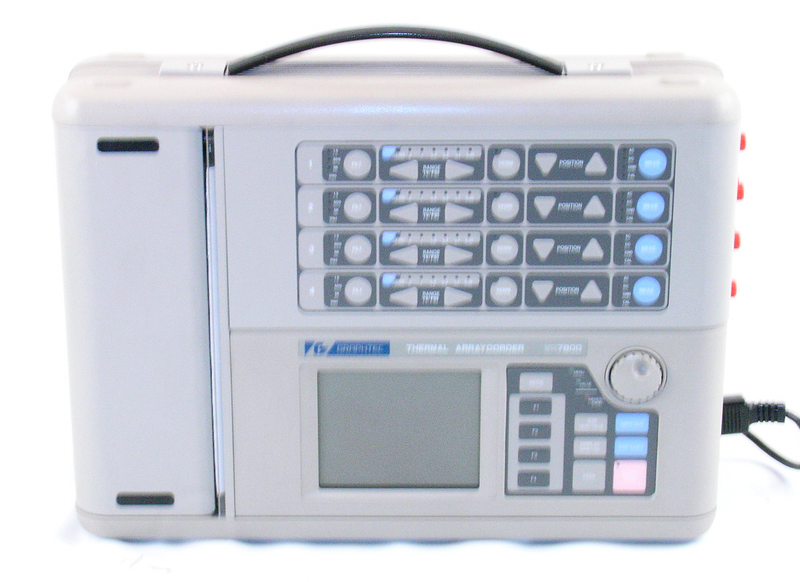 Astronova Astromed Dash18X Data Acquisition Recorder. 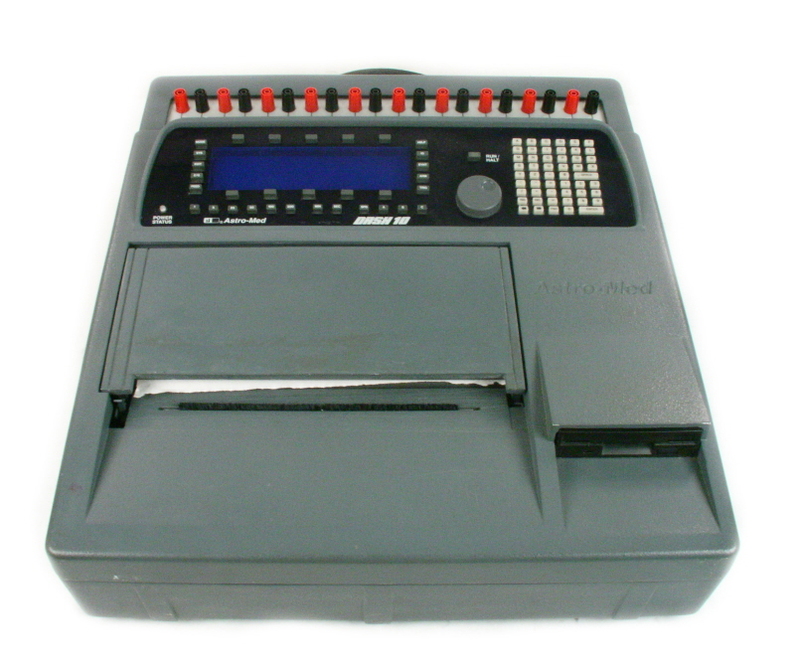 18 universal inputs. 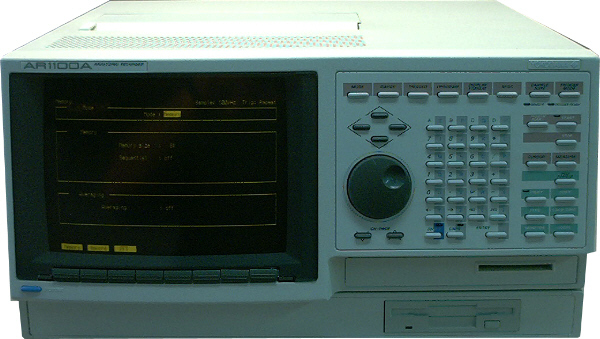 17 inch touchscreen. 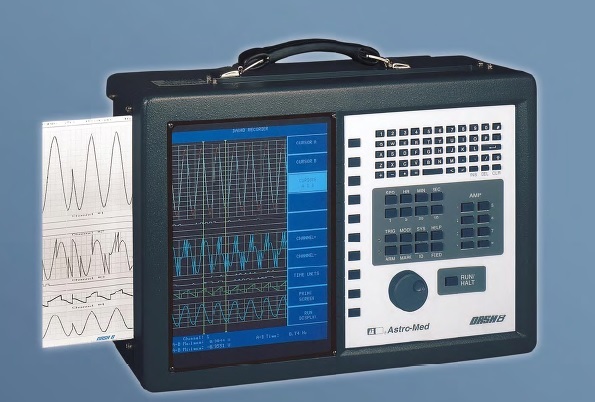 Astro-Med MT95000 - Eight Channel Real Time Chart Recorder. 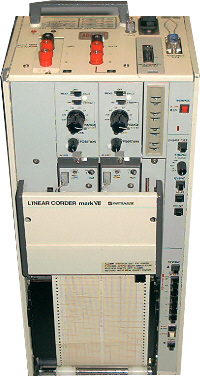 Eight analog input channels and four TTL events, GPIB and RS-232 communication. 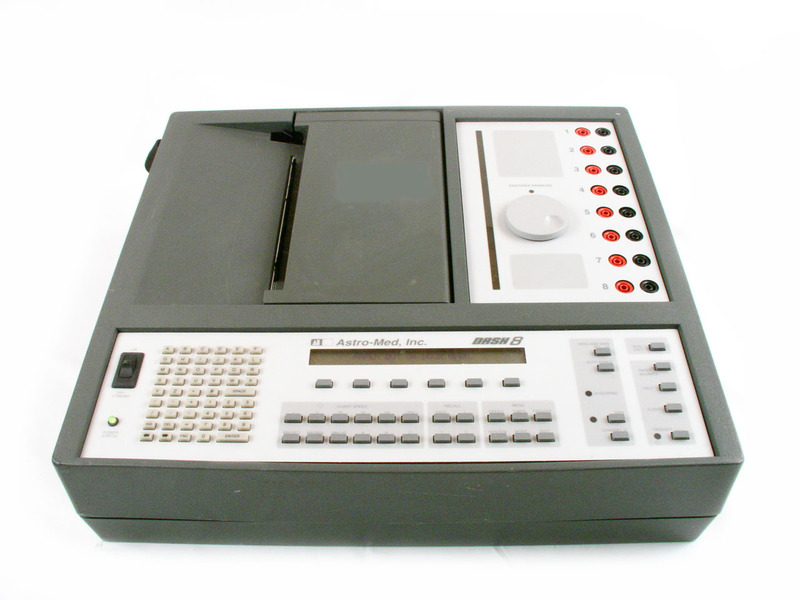 Includes BA-80 buffered analog output option. 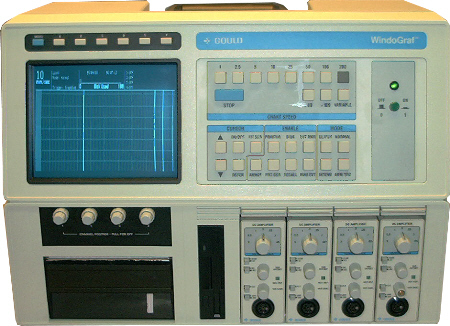 Gould Windograf - Four channel chart recorder with eight event monitors. 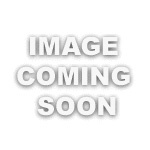 Includes four input amplifiers model 13-6615-10a. 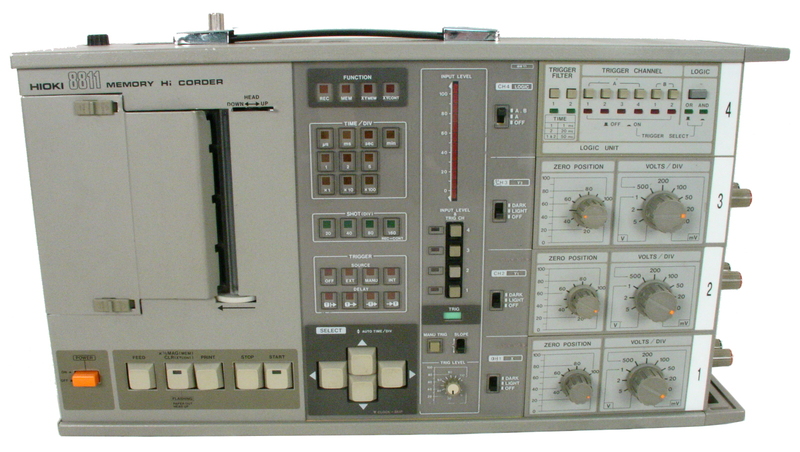 Hioki 8811 - Memory Hi Corder Chart Recorder. 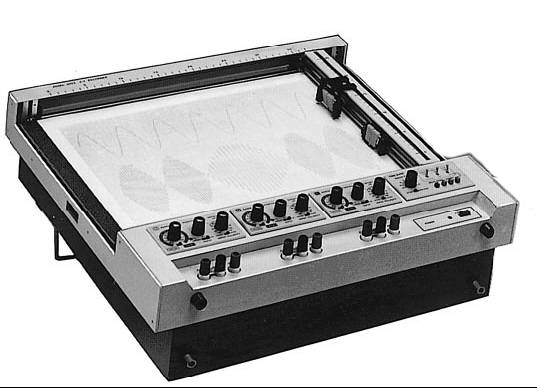 3 Analog channels and 8 Logic channels. 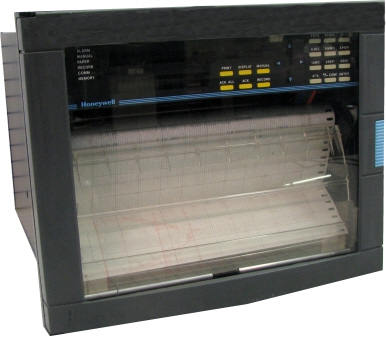 Honeywell DPR 3000 D3-3-Y 32 channel chart recorder. 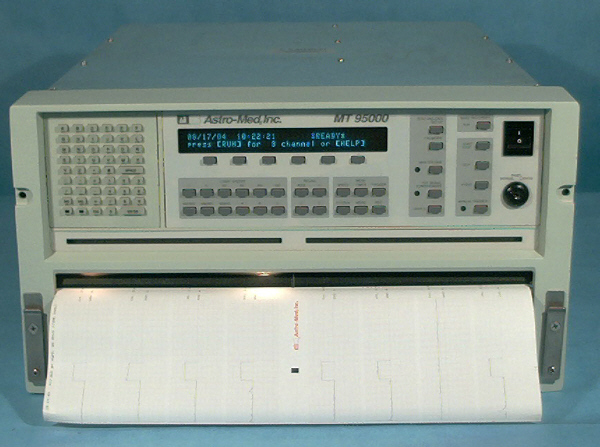 Agilent HP 7090A Measurement plotting system. 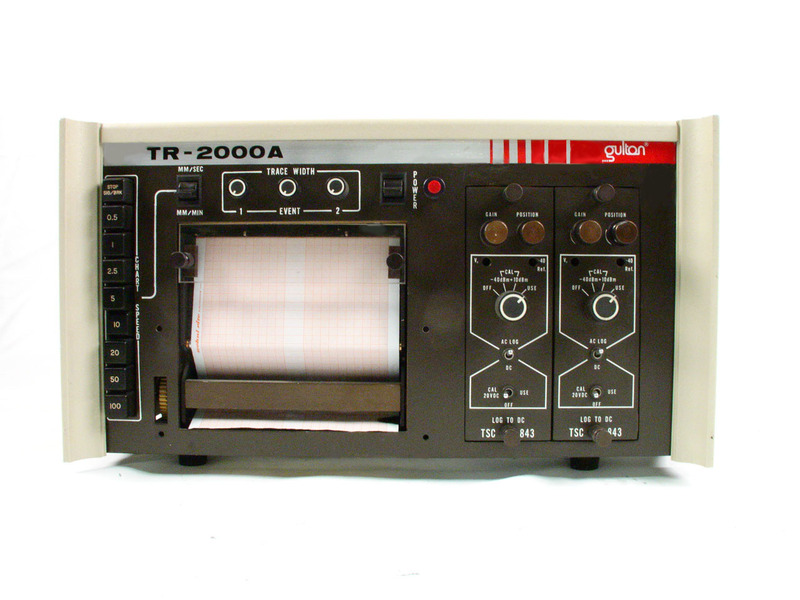 TTC PR40A - Thermal printer for TTC / Acterna test sets. 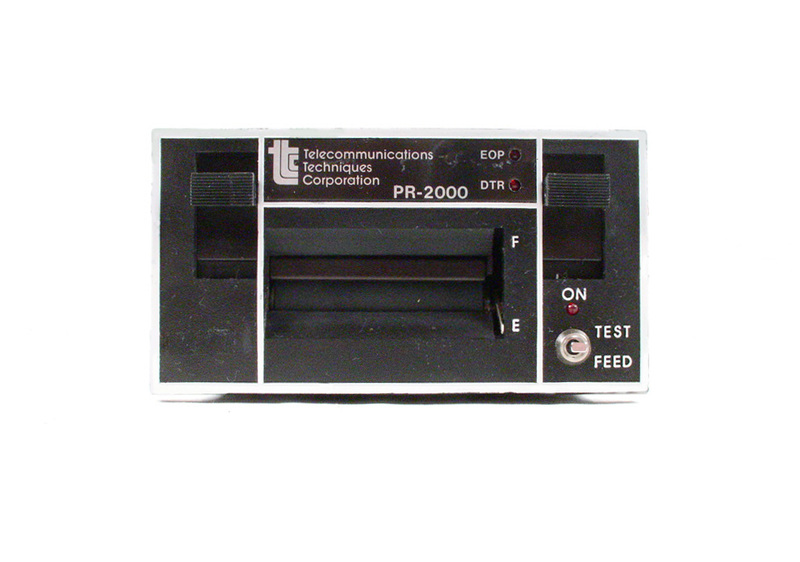 TTC PR2000 - Printer for Firebird 2000. 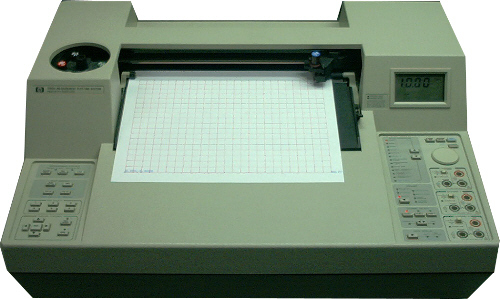 Western Graphtec WR3101 Two Channel Mark 7 Chart Recorder. 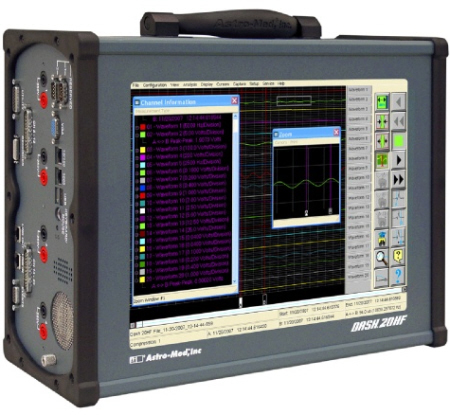 Yokogawa AR1100A - 8 channel Analyzing Recorder. 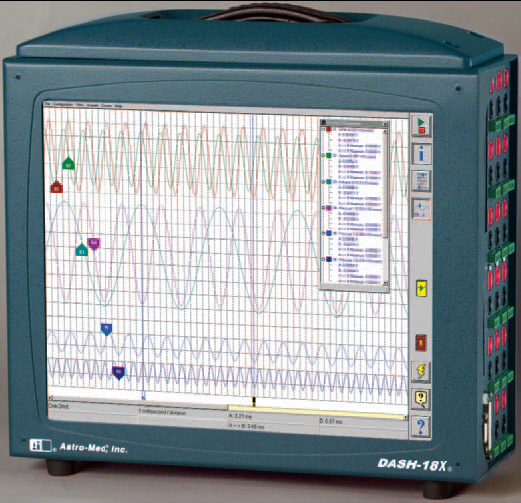 Includes FFT option. 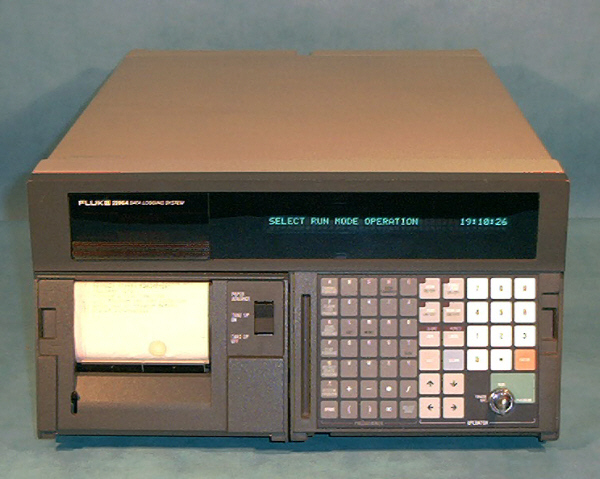 Yokogawa HR2400 Hybrid Recorder 30 Point Chart recorder with GPIB / Math options. 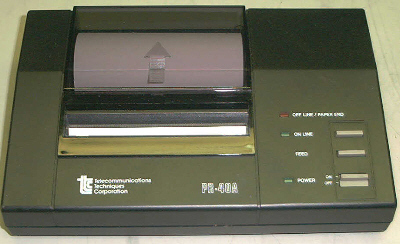 Model 408232-02. 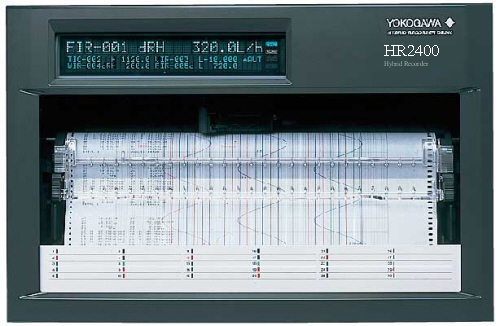 Yokogawa HR2400 Hybrid Recorder 20 Point Chart recorder 60 Hz version with 2 Alarm option. 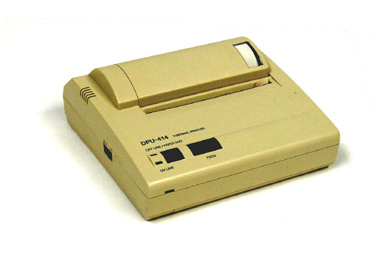 Model 408222-02/AK-02. 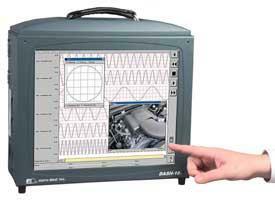 Yokogawa HR2400 Hybrid Recorder 30 Point Chart recorder with RS-422 Interface. 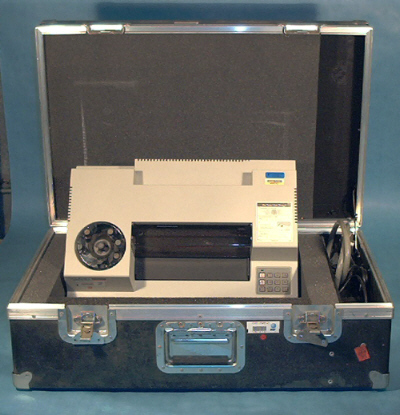 Model 408232-02.